Halseo has set a release date for its Switch eShop game Battery Jam. In North America, it’ll launch on November 22. Europe will follow just ma bit later on December 4. 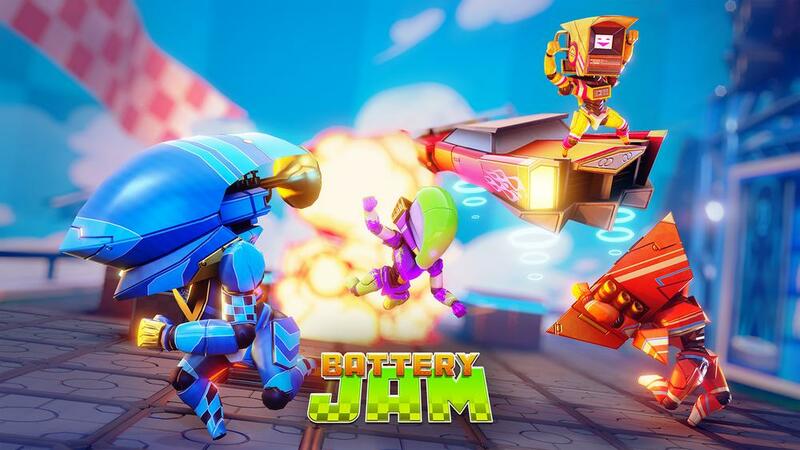 Battery Jam features four boisterous and adorable robots for players to choose from as they battle it out against their opponents for territorial dominance. Taking inspiration from Bomberman and Splatoon, Battery Jam is all about keeping nimble on your feet to dodge oncoming attacks and claim the majority of the tiles in the arena to achieve victory. With an old-school style feel, Battery Jam is sure to bring back the epic couch battles of old as players hurl explosive boomboxes and steal tiles across 8 different levels with multiple modes to shake things up. Take on your friends in deathmatch mode, control match length time, or play a match where infinite energy is available to truly amp up the mayhem. Battery Jam lets players choose who they want to face, offering AI opponents or by taking on friends in local multiplayer.